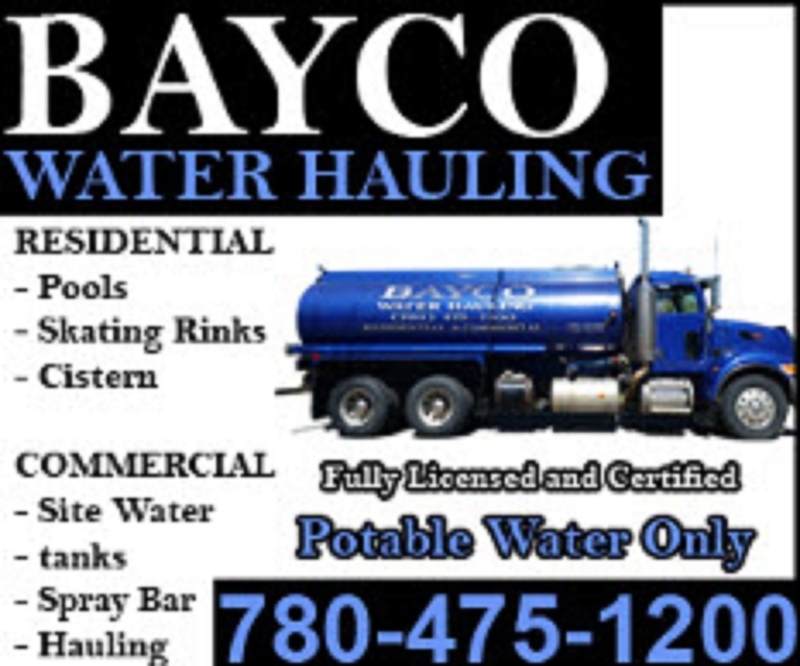 Bayco Water Hauling has been in business for 13 years and delivers water for Edmonton and surrounding areas including small towns North of Edmonton like St Albert, Nanaimao, Bon Accord, Gibbons, Fort Saskatchewan. whether you need access to portable water or emergency water , Bayco can deliver for you . Please call Bradley For more information if you would like a quote today!